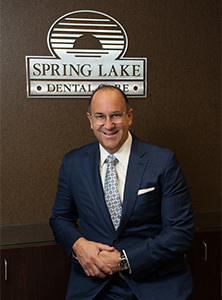 Dr. Peter Ciampi, the head of Spring Lake Dental Care, has been recognized with a number of prestigious honors and achievements throughout his career. These distinctions not only reflect Dr. Ciampi’s level of skill and experience as a top cosmetic dentist, but also his commitment to continuing dental education and the compassionate care he strives to provide every patient who walks through our doors. If you would like to learn more about Dr. Ciampi’s background and credentials, or if you would like more information on the treatments available here at Spring Lake Dental Care, please contact us today.